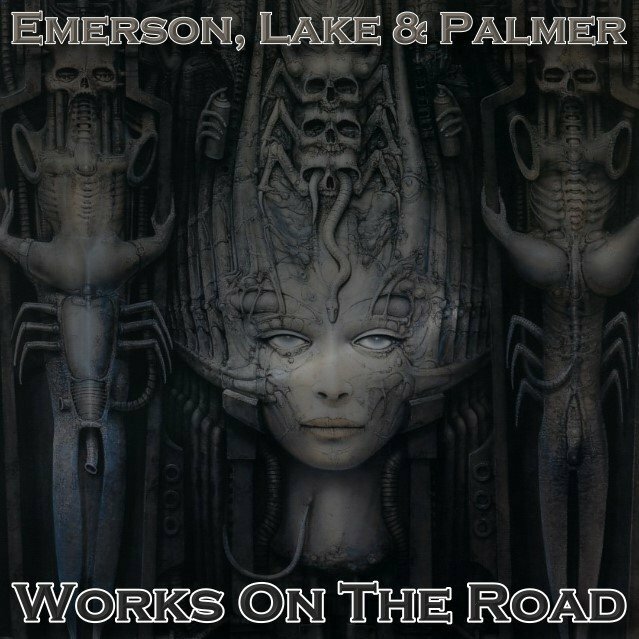 This show was recorded on ELP's legendary Works tour, which began with a 65-piece orchestra and choir that the group took on the road. Arguably one of the biggest undertakings in rock history, after three weeks of performing to great reviews the band had to drop the massive entourage; even with most of the shows selling out, the enterprise had already cost the band $4 million. In the end, it was decided they would carry on with their usual three-piece format, and the remaining three weeks of the U.S./Canada tour featured this lineup. 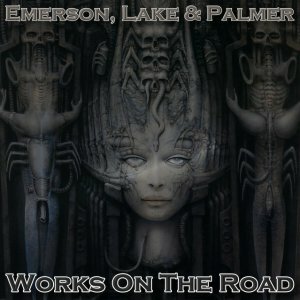 There are plenty of live ELP albums available, but nothing from this leg of the tour with the trio format has ever been officially released by the band. That fact alone makes this recording important, especially since much of the material the group was playing was never performed live again. Vocalist/bassist/guitarist Greg Lake was at the peak of his abilities during the tour. His reputation as one of rock's best baritone voices is born out here on many of the band's classic hits - including "Lucky Man," "Karn Evil 9 (Welcome Back My Friends)" and "Pirates." Emerson's (R.I.P. Keith) keyboard work is exceptional, and Palmer gets to shine when two key tracks featuring his powerful drumming, "Enemy God" and "Tank," are performed at this concert. Although not really a greatest hits show, the set contains a lot of the radio favorites, along with some of the band's most powerful and fondly loved pieces - among them the epic mini-drama "Tarkus" and Mussorgsky's Russian symphonic composition "Pictures At An Exhibition." Another highlight is the group's rocking re-make of the Peter Gunn Theme, taken from the '60s Duane Eddy arrangement, which opens the show. 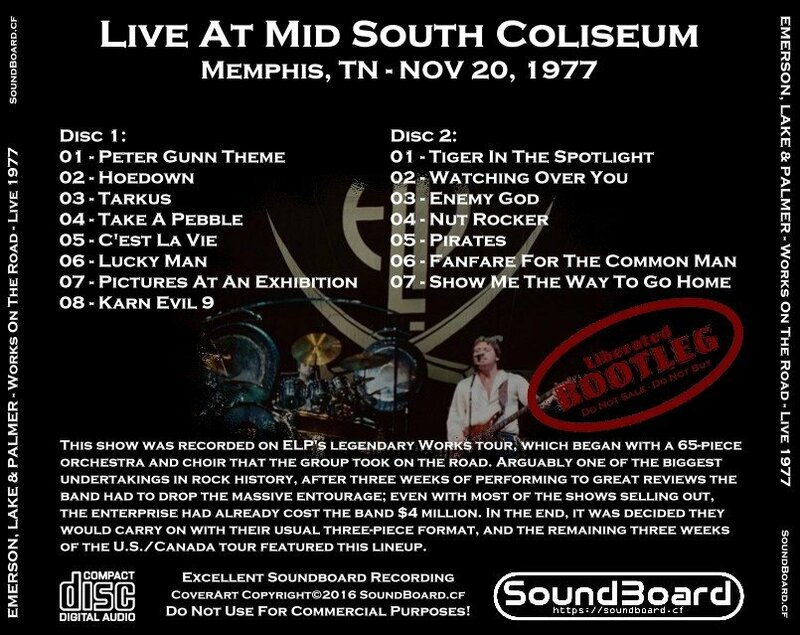 61-piece band or trio, ELP always put on a great show; fortunately, this set, taken from a legendary moment in rock touring history, remains a solid testament to the fact. Works On The Road 0 out of 5 based on 0 ratings. 0 user reviews.